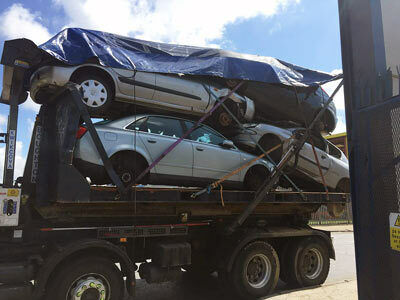 Many businesses have started to offer FREE scrap car removals in Perth. But is that all your scrap car is really worth? Want more? You should! Say hello to Western Metal Recycling as we donï¿½t just offer FREE scrap car removals in Perth but also pay you cash for it! Western Metal Recycling offers free Scrap Car Removals that put actual cash in your pocket. Our scrap car removals in Perth are offered 24 hours a day, 7 days a week and pay top dollar for your scrap car. Wondering what kind of car we will remove and pay you for? No need for this question since we accept literally EVERYTHING! Running or not, old or new, unwanted or scrap ï¿½ Western Metal Recycling does NOT discriminate and pays up to $10,000 in instant cash! Whether you own a car, a truck, SUV, 4WD, commercial vehicle, or something else ï¿½ Western Metal Recycling accepts all kinds of vehicles and all kinds of makes and model, offering top dollars on them. Contact us at 0415 227 955 and experience scrap car removals like never before! How to avail our Scrap Car Removal Perth offer? To get an instant cash offer on your scrap vehicle, call us at 0415 227 955, email us or contact us via our website. Provide us with a few simple details about your vehicle on which we will base our instant cash offer. If you like our completely obligation free offer and want to make your scrap car a part of our fleet, give us a time and location for pickup. We work 24 hours a day, 7 days a week, which means thereï¿½s never a time that isnï¿½t good for us. When we show up, weï¿½ll have the cash for your scrap car with us, so you get paid on the spot. We collect and pay $10,000 each for over 800 vehicles every single month! You read that right! Western Metal Recycling is the premier scrap car recycling company in Perth. This means we get the most of the requests from automobile owners in Perth to recycle their vehicles. They know based on our scale and experience, we will be able to pay the most without damaging the environment in the process. Our entire Scrap Car Removals Perth process is completely eco friendly, which means you actually help us keep Australia safer, greener and healthier. Old and scrap vehicles are nothing but danger due to the gas and fluid leaks among other metal related issues. Save yourself from this crap, earn money, and invest in something newer, something less dangerous. Talk to us at 0415 227 955 and get paid up to $10,000 on scrap car removals in Perth with Western Metal Recycling.